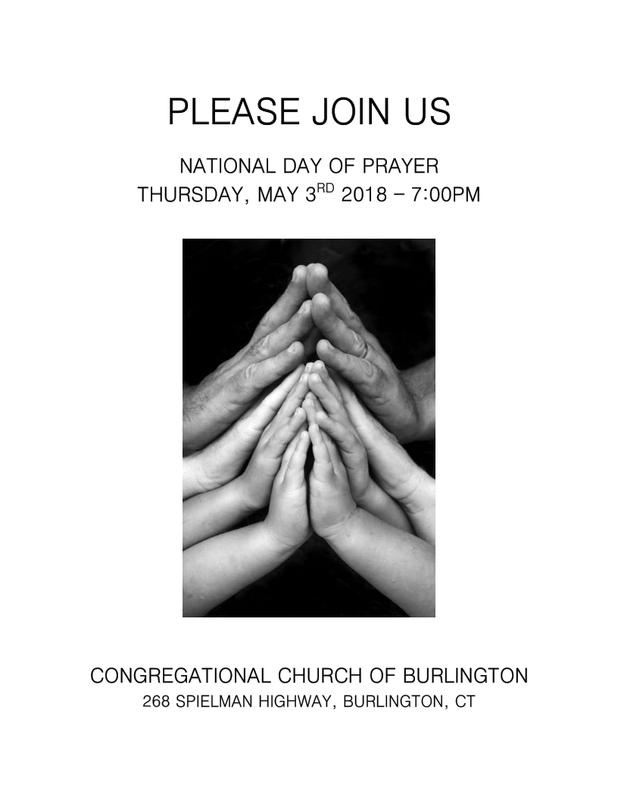 Please join us for The National Day of Prayer and our special service on Thursday, May 3rd at 7:00pm. 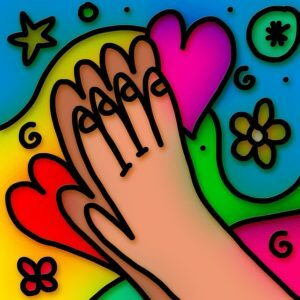 Our church has been chosen to host this observance and the service will be led by Cathy Bergstrom, a former First Selectman of Burlington, as Reverend Taylor will be on vacation. We would like to provide light refreshments after the service so please consider dropping off a baked good. If you have any questions, or would like to participate, please reach out to us today!